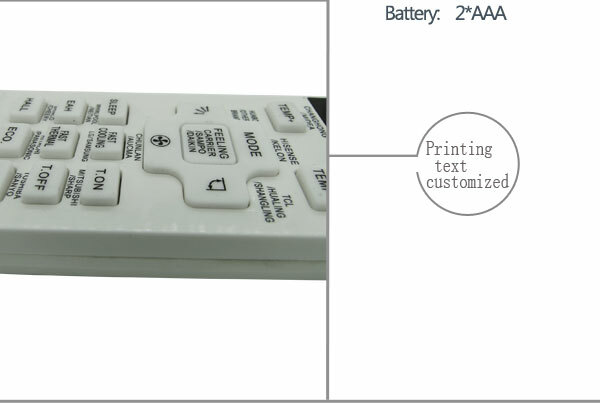 This remote control is suitable for TVs or air conditioners of various brands of Mitsubishi. It is especially convenient for everyday use. This fully functional, comfortable remote control will give you the utmost enjoyment. The compact size makes the remote control easy to grip and not easy to slide. Compatible: This remote control is compatible with most air conditioners, LEDs or TVs under the Mitsubishi brand. Convenience: dedicated menu navigation keys, direct access to digital TV, no programming or setup required. Operable distance: The transmission distance is longer, the operable distance is up to 12 meters, and the performance is stable. Replacement: This is a dedicated replacement remote that covers all the features of the remote. Compact structure: easy to hold, compact and compact, can be used with Mitsubishi various brand models, easy to use.